Growth is good for business, but uncontrolled growth can backfire. A review of the 5,000 fastest growing companies revealed that due to an unsustainable growth rate, within five to eight years, two-thirds had gone out of business, shrunk or been sold for a loss, a Kauffmann Foundation study found. Typically, these companies had thrived when they were run by their founder, but crashed once they got too large for one person to manage alone. Others failed to improve their processes as they grew, drove away innovative talent they acquired or settled for attaining financial viability instead of sustainability. All these issues ultimately boiled down to failure to balance innovation with efficiency. 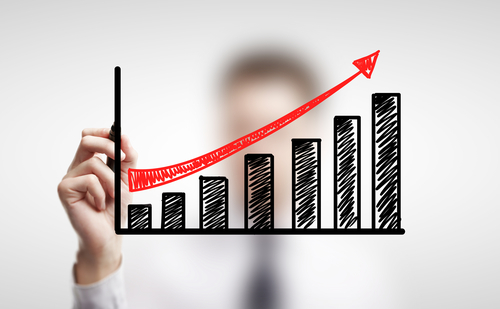 Improving efficiency is essential to sustaining your profit margin as your company, staff and business expenses grow. That said, here are six tools that can help you achieve an agile, sustainable expansion rate that keeps your profits growing as you scale up your business. One of today’s foundations for sustainable business growth is a cloud IT infrastructure. Where traditional IT infrastructures require an increase in on-site equipment, power usage and staff in order to expand, cloud infrastructures let you tap into remote resources so that you can scale up affordably without consuming additional on-premises resources. A cloud-based IT infrastructure also gives you more flexibility for running your business from a mobile device and using remote workers. A Moor Insights & Strategy case study found that using Rackspace as a managed hosting provider enabled one company to save 37 percent in IT costs over a three-year period. Solutions such as Rackspace and Amazon Web Services enable small businesses to employ cloud services on a scale proportionate to their current growth rate and budget. Using a cloud-based IT infrastructure allows you to use more agile communications tools. Rather than relying on traditional PBX equipment, you can use scalable VoIP tools that use digital technology to cut costs. For example, 8×8’s virtual office software lets you turn a PC, Mac or mobile device into a unified communications center that includes phone, visual voicemail, instant messaging, video calling, web conferencing and other features that make it easy for you and your team to communicate from anywhere. You can also use cloud communication tools to virtualize your call center, which can dramatically reduce the costs of running your customer service team. Using a virtual call center can cut costs by as much as 50 percent, according to Frost & Sullivan. Payroll costs are one expense that can spiral out of control as you scale up. One way to keep them manageable is to deploy remote part-time workers or contractors. Using remote workers can also let you employ full-time employees who prefer to work at home or who are located in other parts of the country or even other countries. In order to effectively manage a remote staff, you need remote project management tools. Remote project management platforms are designed to provide a central online interface which you or your managers can use to assign tasks, schedule deadlines, monitor progress, and communicate and share files with team member. Today’s leading tools for remote team management include Asana, Basecamp and Slack. If you’re using a remote team or if you want your team members to be able to work from mobile devices, an important tool is a cloud productivity suite. Cloud productivity suites provide you and your team with the ability to use remote or mobile devices for functions such as word processing, spreadsheets and presentations. Cloud office suites come in freeware and premium versions. Today’s most popular options include Microsoft Office 365, Google G Suite, LibreOffice ownCloud and Zoho Online Office Suite. One of the most challenging parts of scaling up is increasing your marketing activity without the added expenses cutting into your profit margin. Doing this effectively requires more efficient marketing that delivers a better return on investment for your marketing dollar. This means avoiding wasted dollars by selecting the best channels for your marketing campaigns, sticking to your best-performing campaigns, focusing on your most profitable product and service lines and targeting your best customers for repeat business. The most effective way to perform these tasks is to use business intelligence (BI) analytics tools that provide you with objective data about your target market and your customer base. BI tools let you answer key marketing and sales questions, such as identifying which markets and customers represent your best opportunities; which of your marketing channels and campaigns are driving the most traffic to your website; which of your products are selling the best; and which of your customers are buying the most. Leading business intelligence solutions for small businesses include Google Analytics, IBM Watson and Kissmetrics. As your marketing scales up, your increased business can create complications. For instance, you might find your inventory levels running behind your customer demand levels, leaving you short on supplies and causing fulfillment delays that can trigger customer dissatisfaction. You may also find that the expenses of maintaining enough inventory can create cash-flow problems as you wait for sales to catch up with costs. One way to avoid these problems is to use smart logistics software that uses analytics tools to help you keep your inventory, sales, shipping, and cash flow in sync. By analyzing your historical sales data, these tools can help you forecast sales volume so you know in advance how much inventory you need to have ready to keep up with orders, as well as how fast you’ll be able to fulfill orders. This in turn can help you plan your cash flow management so you don’t find yourself running short at the last minute. Software Advice provides online reviews for comparing today’s leading demand planning software solutions. What are some tech tools you use to scale your business? Write up a blog post, and link to this one so we can create a comprehensive resource for young entrepreneurs.